Now in an exciting bidding format, Webmasterquest members can earn traffic by searching sites from our search directory. 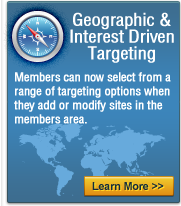 Members can bid on specific keywords for targeted traffic- the higher the bid, the better your search listings! Depending on the search term, you can earn multiple credits for each search you perform! How often can I search the same site? Can I earn credits by clicking on the same link? 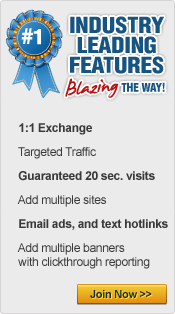 awarded for multiple clicks on the same site link. Where can I check my search stats? Do I earn referral traffic from my downline for completed searches? Definitely! You earn 25% of the credits earned from direct referral searches, and 15% from second level referral searches ! Now referring new members to Webmasterquest has double the benefits! Do I have to be logged in to earn search credits? Yes, credits earned from searching other members sites means you must be logged in. Members with bidded listings do not get penalized or deducted credits for non-logged searches.